Want to get more out of your work day? There’s an app for that. Regardless of where you sit in your institution, technology has infiltrated and impacted almost every aspect of our work days. Let’s sort through the clutter, get beyond disruption and spend an hour talking about work hacks that save time, support new business practices and reveal the real cost of doing business in a tech-driven world. Host Ashley Budd leads a fast paced show uncovering the world of productivity in the workplace with guest George H. Williams, editor of the Chronicle of Higher Education’s ProfHacker blog. 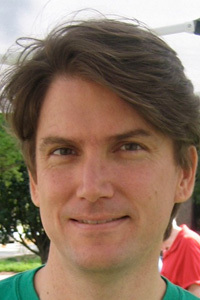 George Williams is associate professor of English at University of South Carolina Upstate. George teaches literature and writing and is known for his collaborations with others using digital tools for teaching, learning and scholarly projects. George also serves as one of two editors of the Chronicle of Higher Education’s ProfHacker Blog, a resource for teaching, technology and productivity. Omni Update, the leading web CMS provider for higher education. The company focuses on providing an exceptional customer experience to its 40,000+ OU Campus CMS users around the globe. Web governance: Is your institution doing it right? Find out! Read More. Formstack, a robust online form building solution. With an intuitive drag and drop interface, the platform makes it easy for marketers to create branded, mobile web forms without writing code. Using Formstack, higher ed marketers have the power to integrate existing applications, ensure software compliance, and double online response rates. formstack.com.